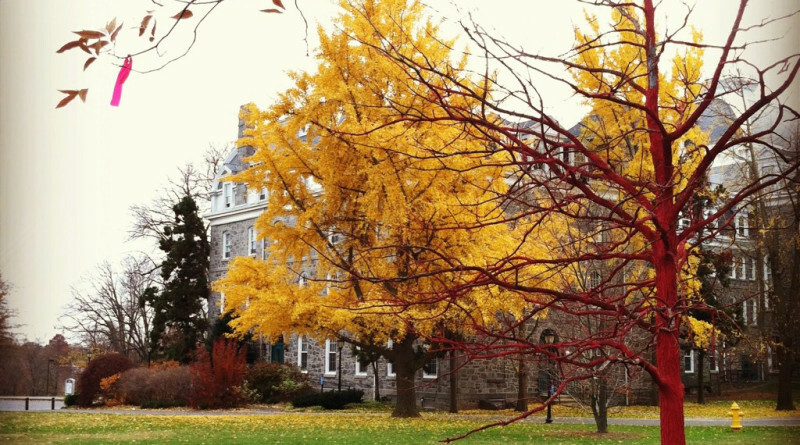 Swarthmore will turn 150 next year, and to mark the celebration the Sesquicentennial Committee is putting together a slew of events. Though many of the events and most of the specifics are still up in the air, the arts will be making a big appearance on campus. Three aspects of the celebration will include the sesquicentennial logo contest, a music composition, and a book about the college. In order to create the logo that will represent this year for decades to come, the Sesquicentennial Committee is calling all student graphic designers and artists to participate. As of February 11, according to an email from Maurice Eldridge, three students had submitted designs. As of press time the designs were being reviewed but the expected date of the final design’s announcement remains undecided. Eldridge said he modeled this system of decision-making off of the Phoenix mascot’s creation, which involved a “solicitation of ideas and a combination of things that people came up with.” Though the mascot was made by an outside company, Eldridge stuck with the basic idea of a group effort. “I liked the collaborative piece, not winner take all,” he said. The group that will choose the final design is somewhat distinct from the Sesquicentennial Committee. “We have a Sesquicentennial Committee but there are people on the staff here who do this work all the time who are graphic artists themselves or have a real eye for it,” Eldridge said, “so we’ll use that mechanism” to choose the logo. Though no plans have been set yet, both Eldridge and Weinthal expect that the logo will be used on “whatever we do that year because it’s that year,” Eldridge said. Weinthal said that he saw his high school’s logo on everything during their centennial year, which he kept in mind when designing his own logo. “My logo is just one color so it looks good on whatever,” he said. Matheson said he hopes to put the Sesquicentennial Celebration into context, a theme he intends to use to frame his piece. “What I want to do is find something that celebrates universal and specific,” he said. “I want to celebrate Swarthmore’s sesquicentennial but also within a larger framework, that locates that on the grid of human concerns, behaviors, and interactions.” Matheson said that finding a text that incorporates that larger framework has been challenging. Jeff Lott, senior publications editor at the Communications Office, is contributing to the Sesquicentennial by taking an uncommon approach to thinking about the College: he is writing a book. This book, untitled as of yet, will attempt to encapsulate the essence of Swarthmore by providing multiple prisms through which to view the college: twenty alumni narratives; an essay on the Liberal Arts Institute by President Rebecca Chopp; and most crucially, five themes that have been identified as the heart of what the college stands for: “Quakerism and its lasting impact on the college,” “The realm of ideas and the life of the mind,” “A diverse and intentional community,” “Leadership in civic and social responsibility,” and “The physical campus and what it contributes to the College.” Lott will write a chapter on each theme and serve as the book’s overall editor. Though Lott is the sole author of the original material (aside from certain contributors), the conception of the book has been a collaborative process. Lott said that the group charged with reading over manuscripts includes Chopp, Eldridge, Director of Editorial and Creative Services Sherri Kimmel, Secretary of the College and Vice President for Communications Nancy Nicely, and various faculty members ad hoc. “It’s been under discussion for about ten years,” said Director of Advancement Communications Susan Clarey. According to Clarey, the idea for a book came about when she was on a fundraising tour for The Meaning of Swarthmore (2004), a book of essays and interviews with alumni. That book was funded by alumnus Mark Pattis ’75 who Clarey met on her tour. The conversation about the sesquicentennial book started with Clarey and Pattis, who both came from a history in the book publishing industry. “Mark [Pattis] has a long history of work in publishing – he was the CEO and principal figure in a major publishing corporation,” Clarey said. “We got to talking about publishing – the genesis of book came there.” As an alumnus, Pattis wanted to make a contribution to Swarthmore; with a history of making books, contributing to a second book about the College seemed like a natural choice. “I was always struck by the fact that Swarthmore […] is a very bookish place, and there were no books really available about Swarthmore,” Pattis said. The book’s organization also makes it unlike most books about colleges. “The book is thematic, not a chronological history,” Lott said. “It’s not really a history, though there will be history in it.” It will examine the College from multiple angles, not just a historical perspective. “This holistic approach to college has never been in a book before,” Clarey said. The book is slated to be published early this December. All members of the College community, including students, alumni, faculty, staff, and family, will be given the book as a gift around January, 2014. “That’s where beauty of Mark [Pattis’s] gift is coming from,” Lott said. Clarey said that the intention is for the book to reach the entire Swarthmore community: “kind of a unifying source, one great big college book club.” The book is not intended to pay for itself in sales, though it may eventually be available in the bookstore or even Amazon, Lott said. Though the schedule of events for the Sesquicentennial Celebration is still largely undecided, the book is sure to play a large role. For example, “there will be a sesquicentennial website, and this book will inform it and provide content for it,” Clarey said. The book may also provide a discussion platform for the “current state of liberal arts education,” Clarey said. Lott said that though the goal of the book is to commemorate the sesquicentennial, he hopes it will have meaning beyond 2014. “The hope is it will be something that has some lasting value that’s not necessarily associated with the anniversary,” he said, but that also serves to inform, educate, and remind those who read it what Swarthmore is all about. Correction: This article has been corrected to reflect the fact that Mark Pattis ’75 contributed to The Meaning of Swarthmore before the current sesquicentennial book. Thanks for the comprehensive view of the sesquicentennial book that we’re working on. It’s a good overview of our project. Just one point needs clarification—and it’s a totally understandable error. 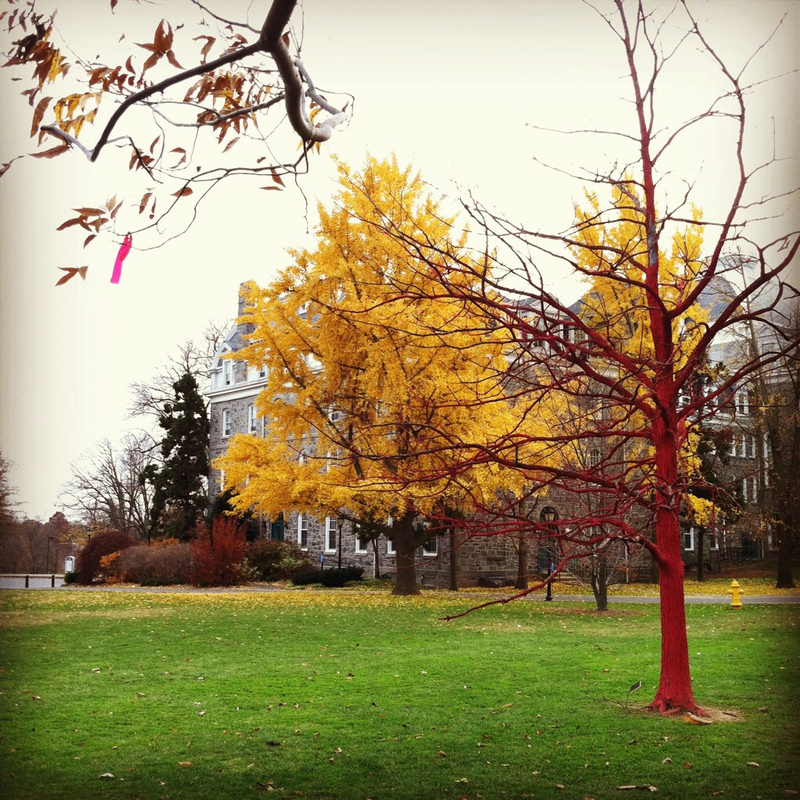 The Meaning of Swarthmore was the title of a previous book of alumni essays about the college—and also of a fundraising campaign conducted from about 2000 to 2006. Mark Pattis ’75 underwrote the publication of that book, which was distributed to the entire college community in 2004 in support of the fundraising campaign. Mark’s contribution toward the current project is another fine gift to Swarthmore, but it is not his first.